STAR Atlas:PRO's inbuilt Postscript Chart Generator will have you producing publication quality Charts in no time at all, it's as simple as choosing the Print button ! All charts are easily exported to a Postscript file which may then imported into typesetting applications or be converted to Adobe® PDF format with up to 2400-dpi (dots per inch) resolution for printing on your own Windows® compatible printer. 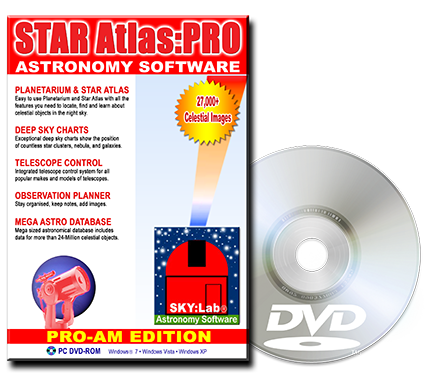 The Southern Cross Region* example PDF file was produced from STAR Atlas:PRO. 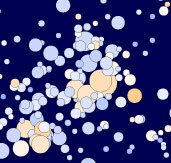 (*When viewing this example PDF make sure you zoom into at least 300% to see the resolution of the chart). Keep in mind that each chart is fully customisable, all colour combinations, labels, types of objects displayed, star sizes, constellation boundaries, and more, are all configurable to suit your own requirements. When viewing these PDFs on your computer screen, zoom-in to 500% or more to begin to see the full resolution of the Chart. Before printing these PDF charts ensure you have set your printer to it's highest resolution.